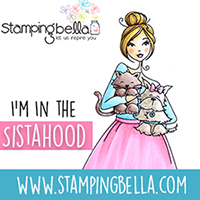 If you're looking for the One Crazy Stamper and Kraftin Kimmie blog hop, please scroll down to the next post. 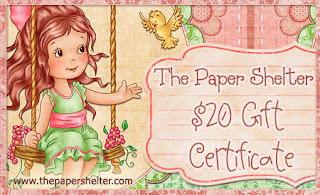 Team B's challenge this week at the The Paper Shelter is everyone's favorite - Anything Goes!! I love the versatility of digi stamps, the ability to resize and merge images are endless, and this card is the result of that. I merged A Victorian Morticia and Cookies for Santa to create a wonderful Christmas Eve scene. The image was colored with Copics, cut and matted with Spellbinders Grand Label One dies, and placed on dp from My Mind's Eye Lost & Found Christmas collection. 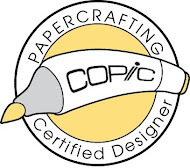 They have such fabulous things to offer you - digi stamps, papers and accessories and all at such brilliant value. If you haven't used one of their images you can still enter the challenge to win 3 of their images of your own choice. A modern take on a traditional image, really lovely colours and textures. Your card is so delightful Shari. Thank you for joining in the DS4J challenge.